Movetec is committed to quality and safety and received the ISO 9001 certification this spring. If you’ve flown through Helsinki airport you might have noticed the big Movetec sign on the roof of an impressive building. If your company is involved with automation, mechanics or industrial IoT, maybe you should see the inside. Movetec is a specialist in mechatronics, the mix of mechanical engineering, electronics and industrial IoT. They have helped industrial firms ranging from huge multinationals to smaller and mid-sized companies. Movetec is part of the Addtech Group, a publicly listed company in Sweden which comprises about 140 technical trading companies in 20 countries. Movetec provides a variety of solutions, from industrial IoT to mechatronics, from motors and drives to machine vision. They offer consulting; technical sales and support; machining, systems installation and design; preassembly; warehousing and marketing. 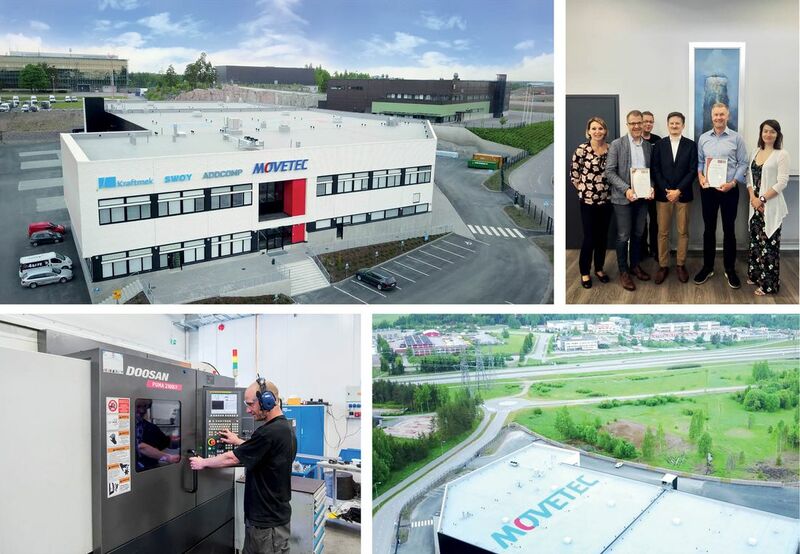 In 2018 Movetec celebrates the 30th anniversary of their founding. Suominen has been with the company for the duration and this autumn is handing over the CEO position to his 30-year-old competent successor Joonas Koski, who has worked at Movetec for three years in various roles. Movetec can look back on its years of adding value to their customers, and, if anything, the future opportunities look very good.